When Emory junior Andrew Gonzales first learned of a project to propagate and preserve the rare native starvine plant that grows wild around Emory's urban forest, a vision took root. Emory junior Andrew Gonzales. Emory Photo/Video. 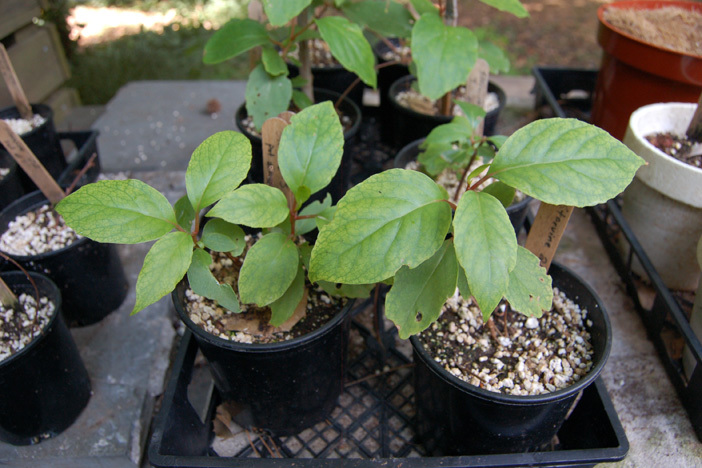 It was while taking a class in "Human and Natural Ecology" last semester that Gonzales heard of a local effort between Emory's Department of Environmental Studies and Wesley Woods Hospital's horticultural therapy program to give new life to the vanishing American starvine (Schisandra glabra). Once found scattered throughout America's southeastern woodlands, the native starvine is now considered endangered or threatened across the region. According to Emory biologist Carl Brown, pockets remain in less than two dozen sites throughout the Southeast, including Emory's old growth forest preserve. Gonzales soon became intrigued with the idea of helping create a modest vineyard at Emory dedicated to the cultivation and study of the plant, which may harbor untapped medical potential; in China, its counterpart ranks among the nation's top medicinal plants. Not only did he choose the starvine project as his class research topic, the Emory student vowed to see the idea of a starvine vineyard become a reality. Appealing to family, friends and businesses, he's already helped raise $3,000 toward the project's $6,000 price tag. 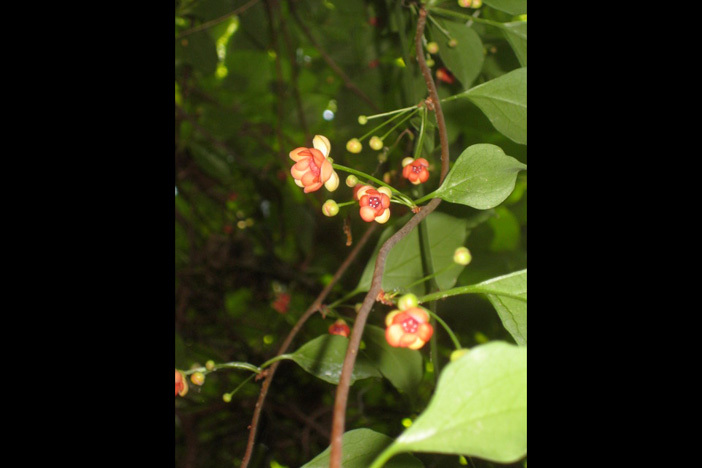 In fall 2011, Kirk Hines, a registered horticultural therapist who founded and directs Wesley Woods' horticultural therapy program, and Brown, an adjunct instructor in environmental studies and field biologist, joined forces to help preserve the plant. 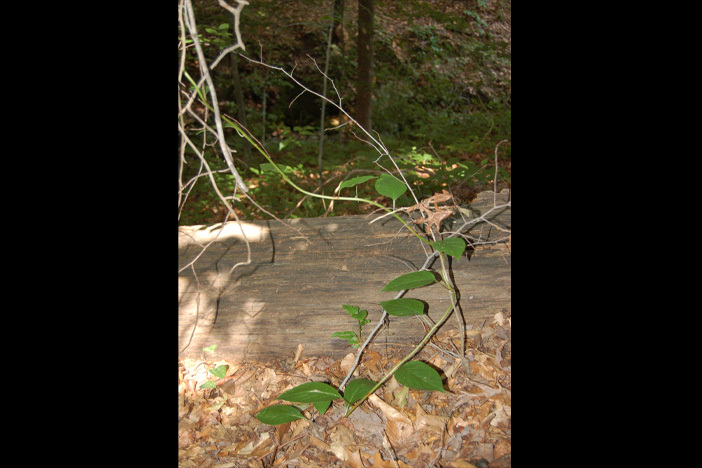 Using starvine runners collected by Brown from wild plants growing in quiet, shaded locations around Emory's woodlands, Hines guided Wesley Woods Geriatric Hospital patients in propagating a modest — but significant — collection of new plant starts. Most modern botanists have never seen the American starvine (also called "bay starvine") growing in the wild, Brown says, noting: "Wherever we find it, it's a remnant of the best native forest — key places to conserve." Today, those plant starts are thriving — naked in their winter dormancy, but already swelling with spring buds and ready for replanting. In fact, Hines and Gonzales plan to use them to create a small vineyard near the Wesley Woods greenhouse devoted exclusively to the American starvine — thought to be the first modern conservation and cultivation effort of its kind in the United States. Starvine has a deep local history. 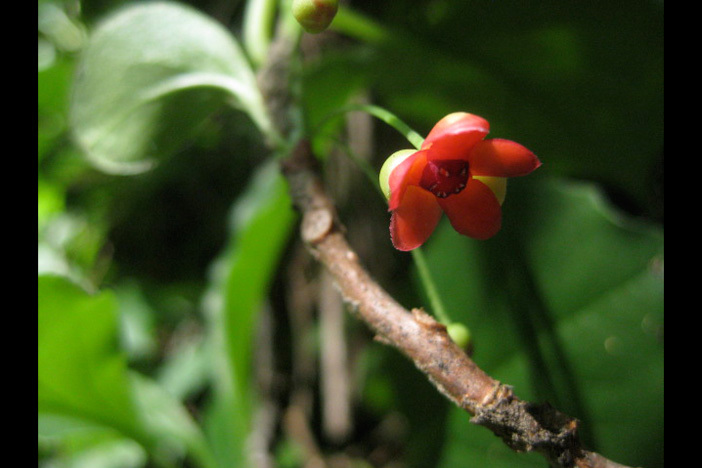 Evidence suggests Native Americans in the Southeast may have tended the wild plants for their own medicinal purposes, according to Brown. 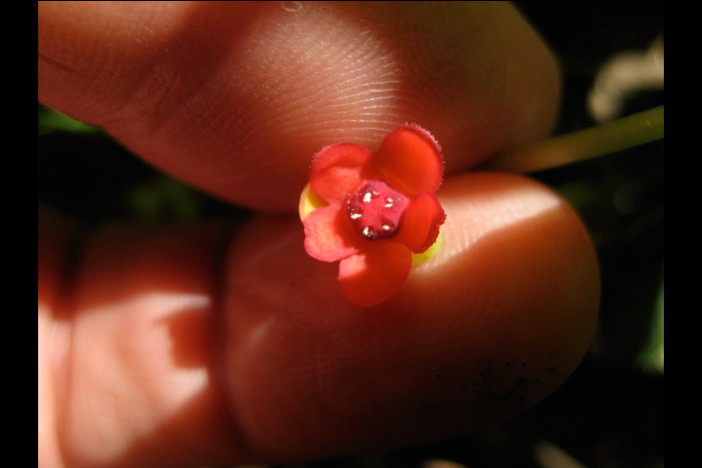 Field notes from regional explorations of the Southeast by French botanist André Michaux in the late 1700s record "starvine growing down around Charleston and Savannah that were as big around as a man's arm — which sounded like how grapes grow in a vineyard where they've been tended for years," Brown recalls. 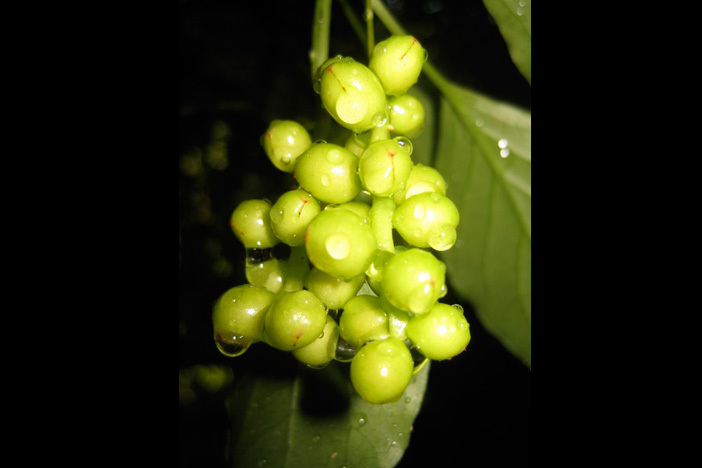 In China, the starvine's Chinese counterpart is cultivated "on a massive commercial scale," Hines says, adding that berries from wild starvine plants have already been submitted for chemical analysis in hopes of preparing a research paper. "The Chinese harvest those berries and have the whole process down to a very well-researched science — that isn't the case for its American cousin," he adds. "Actually, the data we're supplying on how wild (American) starvine grows under cultivated conditions is something that simply hasn't been done much, if at all." "We know in the right conditions, they flourish. 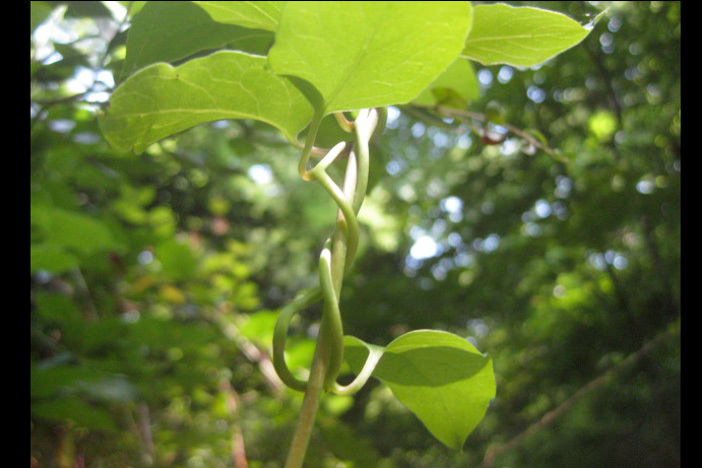 We also know our wild starvine is a little more particular," adds Hines, who envisions the Emory vineyard as the setting for therapeutic gardening for patients at Wesley Woods, a comprehensive senior health care facility. For Gonzales, the project felt like a natural fit. Growing up near Denver, Colo., he was an avid community gardener, fascinated with the conservation of heritage plants and edible and medicinal botanicals, even going so far as to tend rare seeds and propagate unusual plant starts under grow lights in his own basement. "It's like therapy to me, something I definitely miss," Gonzales acknowledges. But pulling a full academic load as an environmental studies and business major — along with a competitive schedule on Emory's swim team — left little time for gardening. Through work on the starvine project, Gonzales was happy to return to his roots, so to speak. Though the course ended in December, his commitment has lingered. "One of the goals I had was to make sure the starvine could have the best possible opportunity to grow and thrive," says Gonzales, whose research has addressed such details as simulating forest soil and using a dry stacked-stone raised bed to prevent chemicals leaching out of mortar into the plants. Design sketch of the Starvine vineyard. Local landscape designer Holly Brooks, a principal with King Landscaping, which specializes in designing outdoor living spaces, has provided the team with a design sketch. Brooks also teaches a landscape certification program through Emory Continuing Education. A timetable for moving ahead on construction of the vineyard will now depend upon how quickly the balance of the funds can be raised. Knowing that early spring would be an optimal time to transplant the starvine starts, Gonzales says that he will actively continue his fundraising efforts. 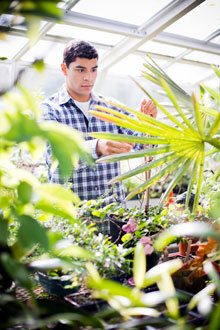 "I just want to understand how it grows and what benefits it may offer to society," he says. "Humans use a very tiny percent of all the food plants that are available to us because of a lack of knowledge. I think we need to be aware of our options." To support fundraising efforts or learn more about the project, contact Kirk Hines at kirk.hines@emoryhealthcare.org. Donations may also be made directly to the horticultural therapy starvine project through the Foundation of Wesley Woods by contacting Ariane DeLong at ariane.delong@wesleywoods.org.